Auris en Oisans is connected by pistes to Alpe d’Huez but it is accessed by a completely separate road. This road comes up from Bourg d’Oisans, the village on the valley floor and the transport hub for the area. Our Auris en Oisans airport transfers only go as far as Bourg d’Oisans. From there you will need to make your own transport arrangements for the short journey up to Auris en Oisans (see the section below for advice on this). You would therefore need to select a transfer to Bourg d’Oisans on our Online Booking Form. We operate our Bourg d’Oisans ski transfers, connecting you with Grenoble Airport, throughout the 2018 / 2019 winter ski season. Our service starts on the 15th December 2018 and finishes on the 20th April 2019. Our Saturday prices are £46.90pp Return & £27.90pp Single but we have some great discounts for groups and children. Click to get an Instant Quote for your group and the discounts will be applied automatically. The proceeding pages will then show our bus times. We will drop you at the main bus station in Bourg d’Oisans, the VFD “Gare Routiere”. The local buses are operated by Transisere. 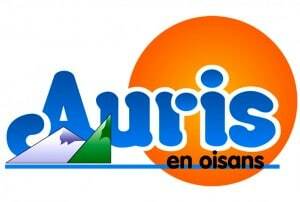 Auris en Oisans is a small, friendly, family orientated resort in the department of Isere in the Southern French Alps. It sits at an altitude of 1600m and faces south, enjoying plenty of sunshine and spectacular views of the Meije and the rest of the Ecrins National Pack. 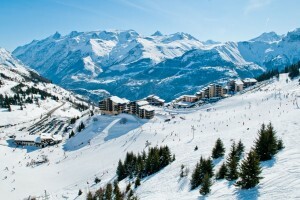 It is linked to Alpe d’Huez by ski lifts and forms part of the Grand Domaine ski area, offering 250km of varied piste. Due to its small size, most accommodations are very close to the piste. The resort makes a special effort for families, putting on plenty of events to keep the kids occupied when they are not skiing. It also benefits from much more competitive rates than its bigger brother, Alpe d’Huez. Although the amount of bars and restaurants is less, you are still able to enjoy the extensive ski area if you buy the Domaine ski pass. Grenoble Airport is easily the closest airport to Auris en Oisans, at less than 1hour 45 minutes away. This is why we only operate our Ski Transfer shuttle service to Bourg d'Oisans from Grenoble Airport. If you have booked a flight to another airport, such as Chambery, Lyon or Geneva, it may be worth looking at changing your flight so you arrive into Grenoble. Otherwise you may have to pay for expensive private transfers or use various public transport options (trains, buses) which can take a long time. It may be cheaper to change your flight so you can use our service. If you really cannot fly into Grenoble, we would recommend checking out the Tourist Office for Auris en Oisans for alternative transportation options. To get from Bourg d'Oisans to Auris en Oisans you have 2 options. We would recommend booking a taxi as the cost is very reasonable and it gives you the flexibility should you arrive in Bourg d'Oisans late, due to traffic or weather conditions. Bourg d'Oisans is the main transport hub for the area. There is a public bus service that departs from the bus station in Bourg d'Oisans for Auris en Oisans. The service is run by a local company, the VFD and it is very cheap. You can find the timetables of the buses on the VFD website, although it is in French. You may also like to visit the Transaltitude website which is dedicated to holiday makers wishing to book public buses. A private taxi from Bourg d'Oisans to Auris en Oisans costs around 40€ for up to 4 of you and takes around 20 minutes. There are a few taxi companies in the area and we would strongly recommend you book these as far in advance as possible, as they can get very busy. Our ski transfer buses will arrive in Bourg d'Oisans about 1hour 20 minutes after they depart Grenoble Airport. The taxi company should supply you with details on how you co-ordinate meeting in Bourg d'Oisans. Bourg d'Oisans is a medium sized town with good facilities, including a large supermarket, petrol station, banks, post office, shops, cafes and restaurants. We do have a page dedicated to our service from Grenoble Airport to Bourg d'Oisans which has additional information. The bus station is located close to the centre of town, on the main road that goes through the town, the avenue de la Gare. It is known as the "Gare Routiere". The Auris en Oisans Tourist Office is located at Place des Orgières - 38142 - Auris en Oisans. Auris en Oisans is a small ski resort and so only has the basic amenities such as mini-market, a few cafes and restaurants-bars, a few ski hire shops, a cash machine and a self service laundry.